Fractions - Students create a grid and divide the paper, exploring unit fractions. 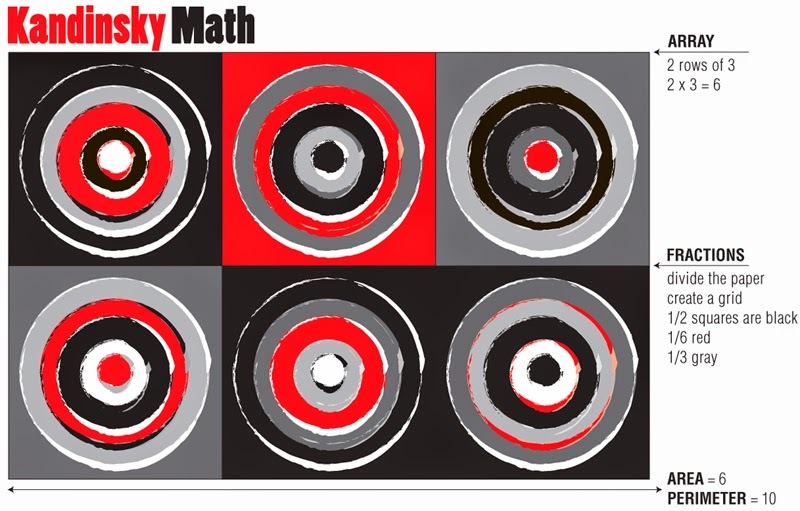 Multiplication - They create an array of concentric circles and write down their equation. Area & Perimeter - Each design is contained within a square unit. What is the area and perimeter of their entire design? Fractions - They write down the fraction for the main color of each square. Note: Older students could use a math compass to create perfect circles and figure out the circumference of each circle (geometry). You could use any art medium for this project (paint, crayon-resist art with watercolor, oil pastels, or markers).